Jacket/Nom. O.D. 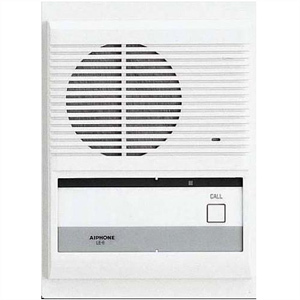 - PVC .144"
Aiphone wire is designed to provide the best quality performance for the intercom that is being installed. Wire is available in conductor counts ranging from 2 to 20 wires per cable, 22 or 18 gauge in most cases, and in lengths of 250', 500', and 1000'. The appropriate type of cable is available for every Aiphone system. See the following chart for a listing of Aiphone systems and the corresponding wire. Aiphone wire is not CE rated. 1st: All Aiphone wire begins with "8"
For example: Wire #82221550 is broken down as follows: ("8") = Aiphone cable; ("2") = shielded; ("22") = 22 AWG, ("15") = 15 conductors; ("50") = 500 foot "Quick-Pull" box.